See all the Homes for Sale in Holly Springs NC! 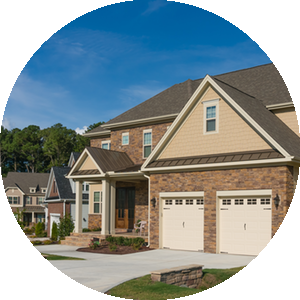 See the Holly Springs Homes for Sale on a map! Stay up to date on the Holly Springs Market! With abundant green spaces for biking and fishing, a farmers market that operates year-round, and signature local craft beers, the City of Holly Springs, North Carolina is a great place to buy a home. The community had a rich history and was named for the natural springs discovered by those that first settled in the area. These beautiful springs were surrounded by holly trees at that time. Today this remarkable city is a great place to buy a home just twenty to thirty miles from Chapel Hill, Durham, and Raleigh. Among its most noteworthy attractions, you’ll find Bass Lake and the surrounding park. This destination provides opportunities for fishing, camping, and an assortment of other outdoor recreational activities. The Harris Lake County Park, one a seven-mile drive from the city, also affords many fabulous opportunities for outdoor fun. In addition to great recreation options, Holly Springs residents also enjoy easy travel. 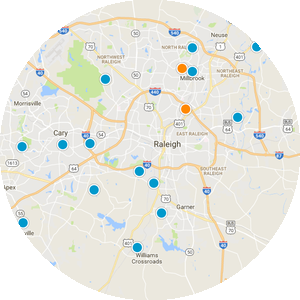 The city’s downtown is situated almost precisely in the center of the Research Triangle. Furthermore, Fentonville is immediately north of the city. Via Interstate 40, Durham is only a twenty-nine-mile drive. Via NC-540 W, Chapel Hill is only a thirty-two miles drive from Holly Springs. During the week when commuting to work, most people drive, however on the weekends you’ll find bicycle enthusiasts biking along Lake Wheeler Road en-route to Raleigh. The road passes by the lake from which the road gets its name. Like the other cities near the Research Triangle Park area, Holly Springs is rapidly increasing in population. Just two decades ago the town had less than 1,000 residents. Homes for sale in Holly Springs include diverse housing options. 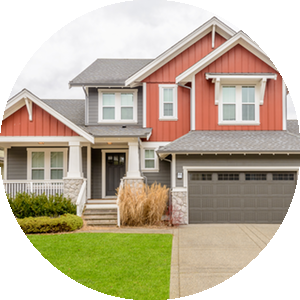 Among the available real estate in Holly Springs, you’ll find townhomes and two-story homes in abundance. Many Holly Springs homes are less than twenty years old, and most provide picturesque views of the countryside. Buying a home in Holly Springs gives easy access to three universities, the University of North Carolina at Chapel Hill, Duke University, and North Carolina State University. It also positions you to easily enjoy the gorgeous wooded areas, well-maintained paths, greenways, and delightful small-town charm. If you would like to learn more about real estate in Holly Springs, North Carolina, please allow us to assist you and contact us today. This Holly Springs two-story corner home offers an enclosed patio, walk-in master closet, and a two-car garage. Upgraded features include fresh interior paint.